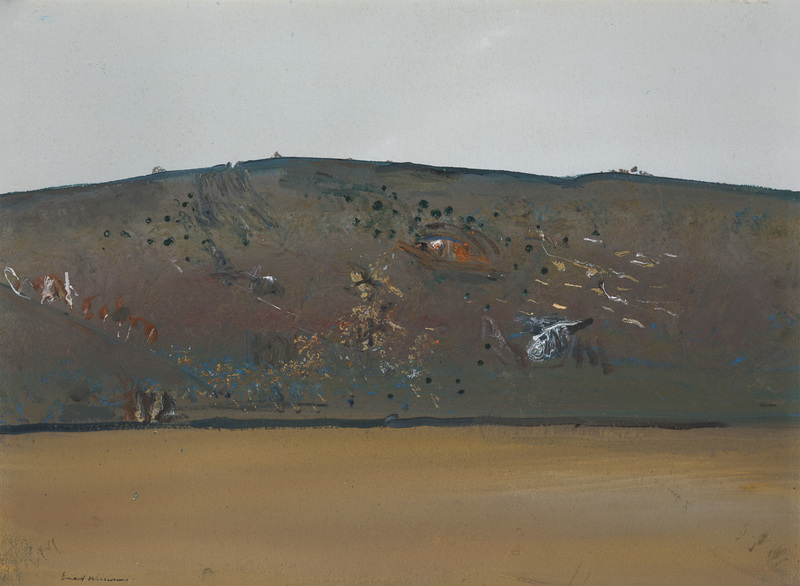 In Eroded Hill, 1977, painted at Cavan, Williams focuses on the characteristic monotony so often attributed to the Australian landscape, with its hidden variety of detail, the very attraction for Williams. As a skilled colourist, Williams builds his weather beaten landscape with paint dabs, swirls, and strokes of colour and textures which harmonises with the abiding sense of timelessness. Williams found the medium of gouache extremely accessible with his first public gallery exhibition of 'watercolours' being held at the Newcastle Art Gallery in 1971. Then in 1977, he held a solo show of gouaches at the Museum of Modern Art in New York.